My latest PopMatters article is now live: The Mystery of 77 Days. "Dinner in the boardroom. What time is it?" Humans are obsessed with patterns. It's one of the reasons why conspiracy theorists have an almost ferocious disposition to make connections between unrelated events and occurrences to construct a grand narrative. They force patterns onto disparate facts, partially out a tragic desperation to make simple sense of tragedy and partially to satisfy their desire to make something clean and understandable, to clarify the innately obscure. Those into puzzle games and riddles satisfy some of the tendencies when they clear a board, make a sudden mental connection, or set things right in place. The joy of a good mystery is solving it, or at least teasing the idea that it truly can be solved at all. This is why I love reading about number stations or other strange phenomenons, even when I know the truth is far less interesting than reality. Alternate Reality Games, and 77 Days in particular (if it is an ARG at all), blends these two extremes. Participants walk the line between conspiracy theorists and puzzle solvers. The dark and unsettling components of the mystery and a little less frightening in the safety of internet communities. The stakes, at least for now, seem low, making it a relative approachable experience. It lets you pretend to be crazy for a little while, because being crazy holds the best option for unlocking some of its secrets. Meanwhile, the puzzle-like components are not locked down. The challenges and tasks are self-imposed or contributed by other participants. While I might not be able to decode spectrogram, I can browse google for images that might lead toward a future breakthrough. I can even contribute by editing text and making the document easier to read. With no solid barriers to entry, anyone and everyone can play, or even sit and watch. 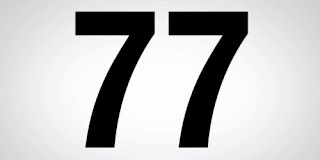 As a play experience, few are as accessible as ARGs like 77 Days, at least for those willing to think outside the box and make connections. All that being said, I keep asking myself how I would feel if 77 Days ends as a marketing scheme to drum up attention for some sophomoric novel or cliche video game. I have to admit, I would at least be a little disappointed. Even so, what I focus on instead is the collaborative efforts of so many others. In chat or on an expansive doc, I'm surrounded by the work of minor geniuses. It's like a massive, text-based Minecraft experience, but scarier. Whenever this mystery finally ends, regardless of the outcome, I'm proud of these internet gumshoes.